To give you an idea of how the market is behaving today. 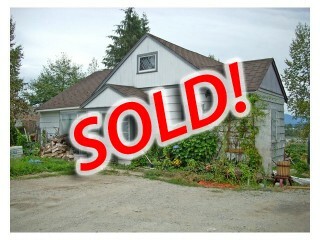 I was representing a lender/bank for a home foreclosure in Abbotsford. The home was priced at $299,000. We had an accepted offer of $288,000 that went to court for the judges approval. At court, there were EIGHTEEN additional offers with multiple being over $350,000. It sold for $356,100 or 124% of the list price. The assessed and appraised values of the home were both at $300,000. I think it might be a sellers market…maybe. I have just listed a rancher with basement on Hatzic Bench. 5 bedroom and 3 bathrooms and over a 1/2 lot. Photos and more details to follow. This property just sold at court as a foreclosure for $202,500.00. There were 2 competing offers. Vacant Possession of a Foreclosure – They’re still here! Just a quick thought, as recently I have had a few experiences where the owner living in the home has been foreclosed on and once the property sells they do not move out on time. I was surprised to learn the process can take up to 3 weeks to get the person removed from the home. The police cannot do anything about it. The process is to go back to the lawyer for the lender who foreclosed on the property and have them file for a writ of possession. They are then in a position to get a sheriff and/or a bailiff involved to evict the person living there. I have had 2 recently where the day of possession came and the new owners were greeted with people living in their home and refusing to leave. You would think with a moving truck in tow and a court order granting ownership of the property to the new owners that the police would be able to evict the person living there for trespassing. Not the case (although, I still do not understand why). With that said, there are ways to ensure this does not happen to you. You can have the lawyer for the lender file a writ of assistance on the day the court approves the sale. This does allow the police to assist. I have yet to see a lawyer do this, but it is an option. It is a sad thing to see a family trying to move into their new home with kids, dogs, movers etc… waiting to go in, only to have someone deciding they are going to trespass.